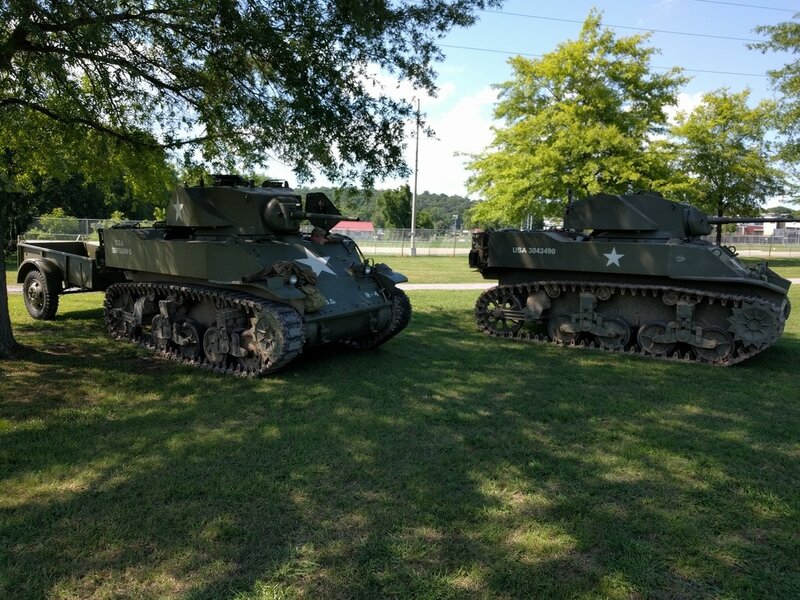 Tanks on display! 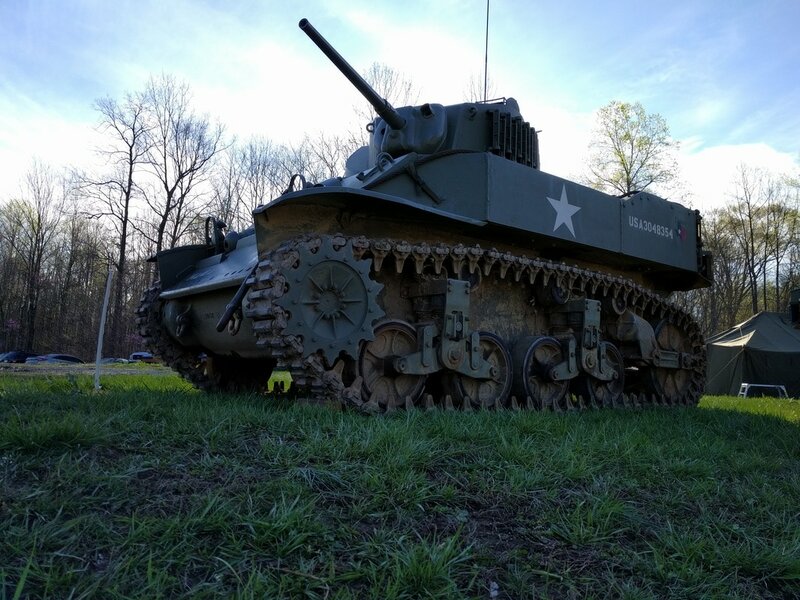 We took 5 running M5A1 Stuart tanks to Knob Creek. 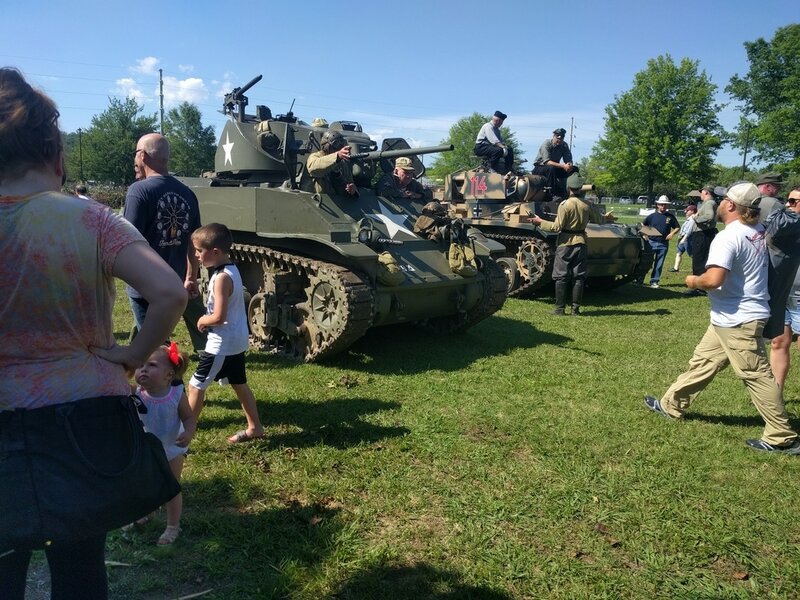 All weekend long a steady stream of visitors came by checking out the armor. 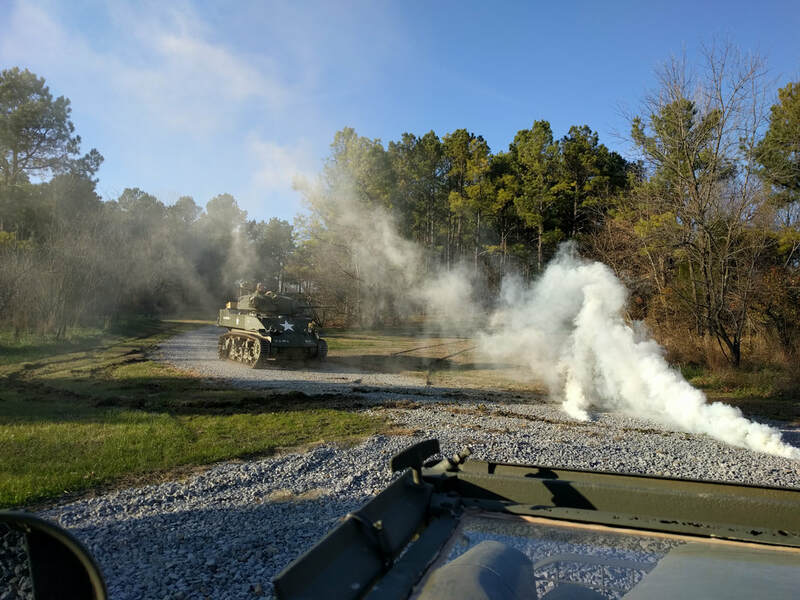 Tanks on the firing line! 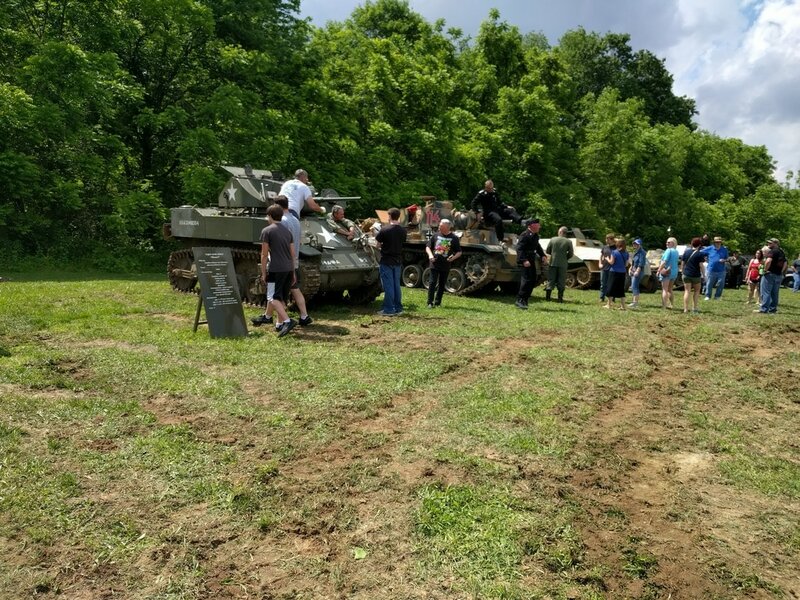 3 of our tanks shot live rounds at the 2017 shoot. 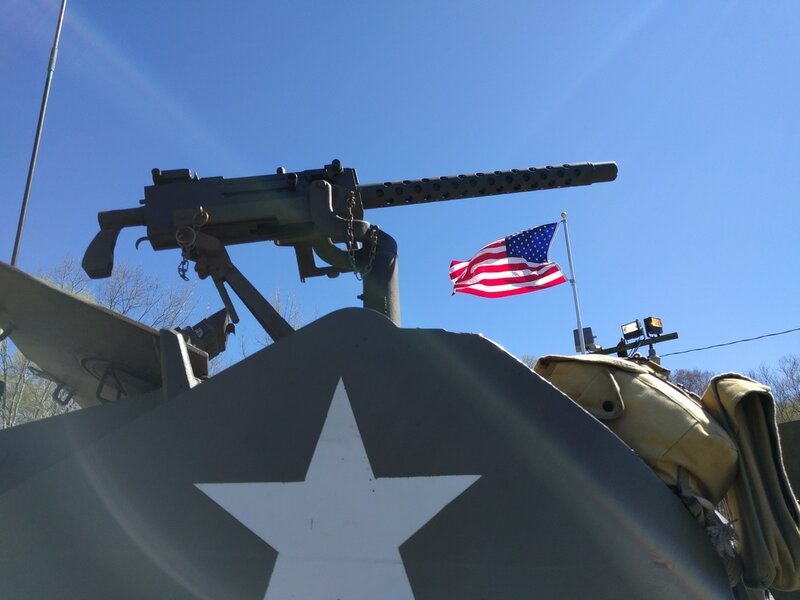 1919 brownings and 37mm main guns roared just like they did so many years ago in WW2. 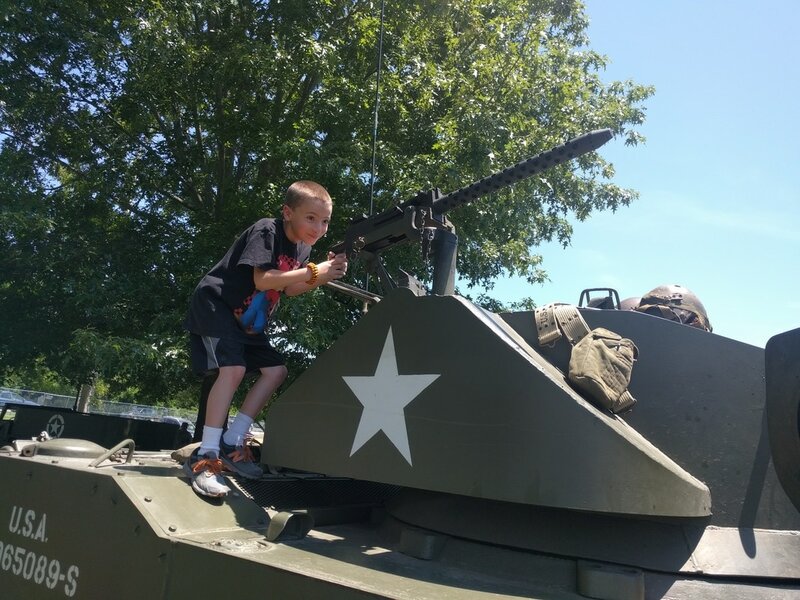 Young men (and boys of all ages) always seem to be entranced by the armor. 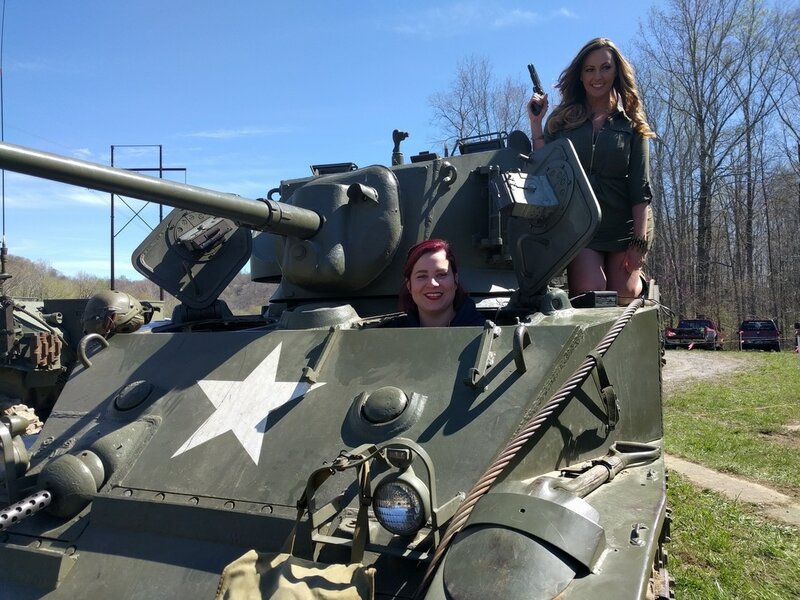 Unscientific study has revealed that girls too enjoy our WW2 tanks! 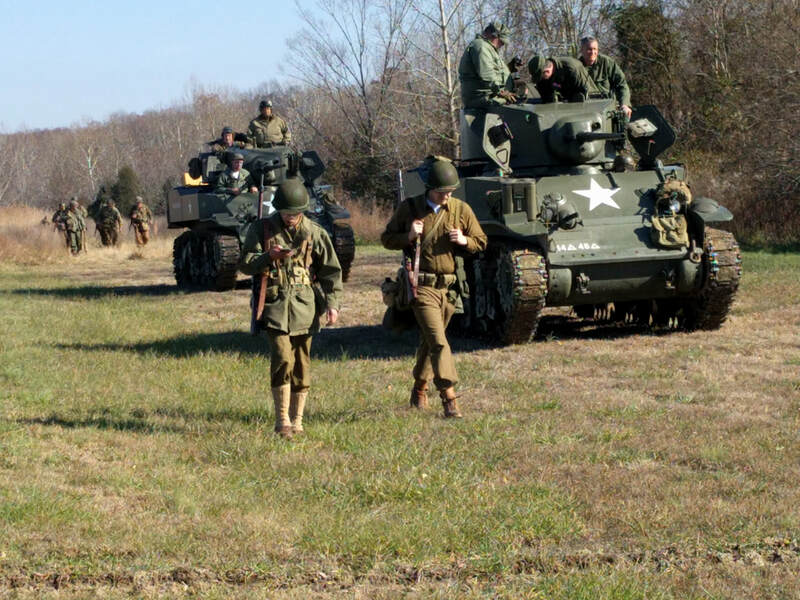 The Axis forces showed up in big numbers, bringing some nice equipment with them. 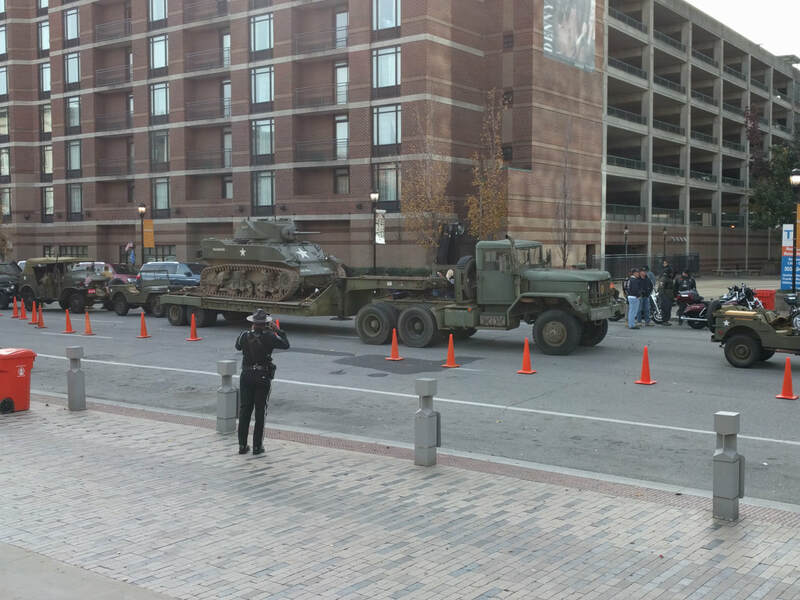 The 14th brought 2 tanks, a truck and a jeep. 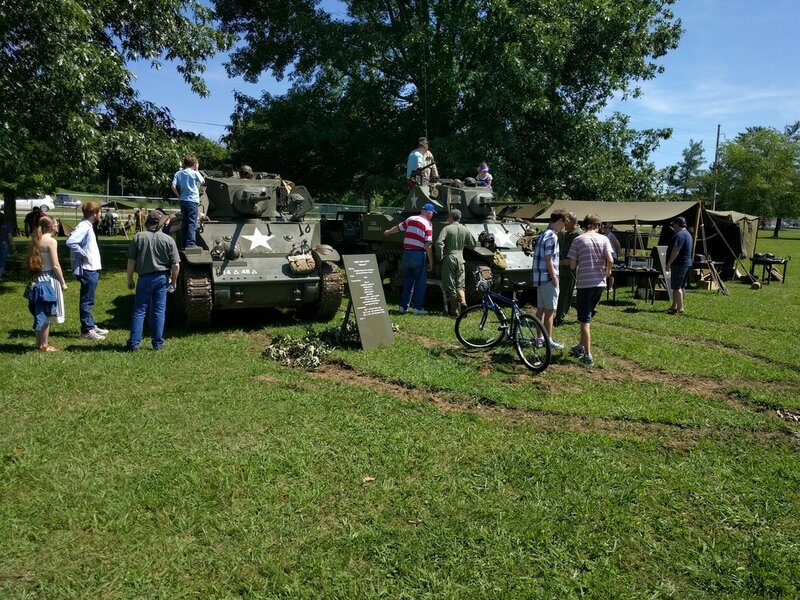 Third year for this Memorial Day event in Etown, KY. Best one yet! The crowd was a bit small, but enthusiastic. 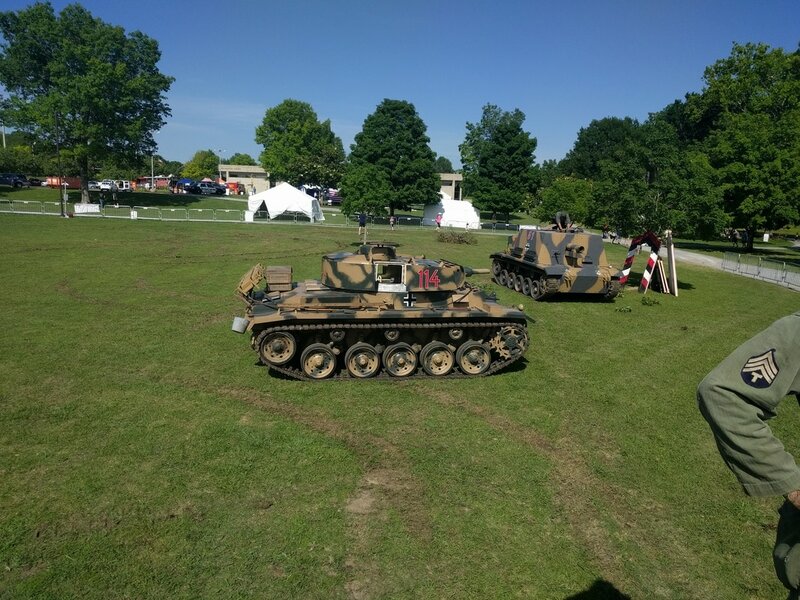 The encampment was excellent, troop levels good, German armor showed up, and the 14th was there. 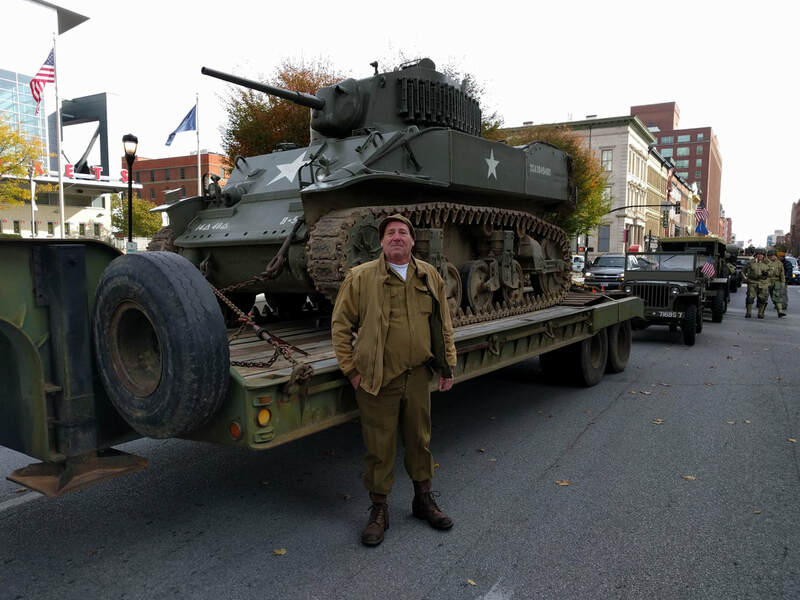 Allied armor returns to the Secret City! 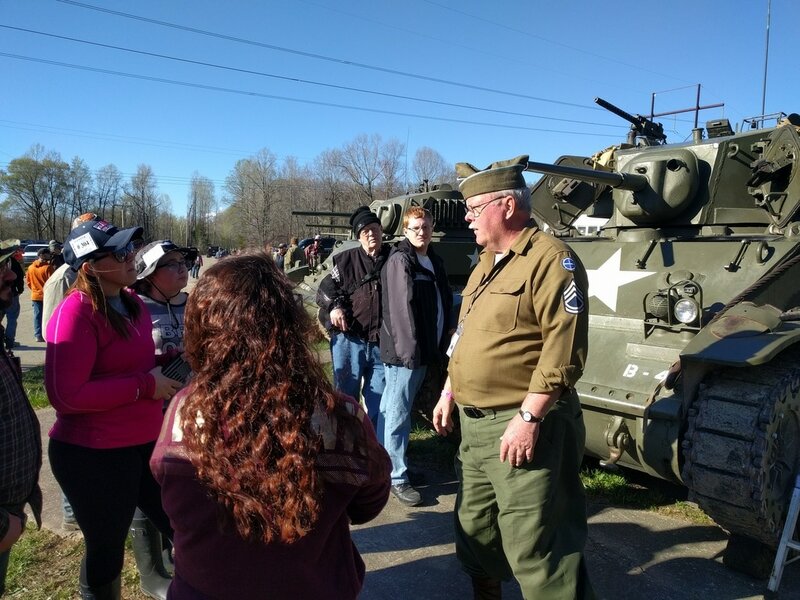 The 14th brought out 2 M5A1 Stuart tanks, a WC21, a jeep, and our newly event ready Ben-Hur 1 ton trailer. 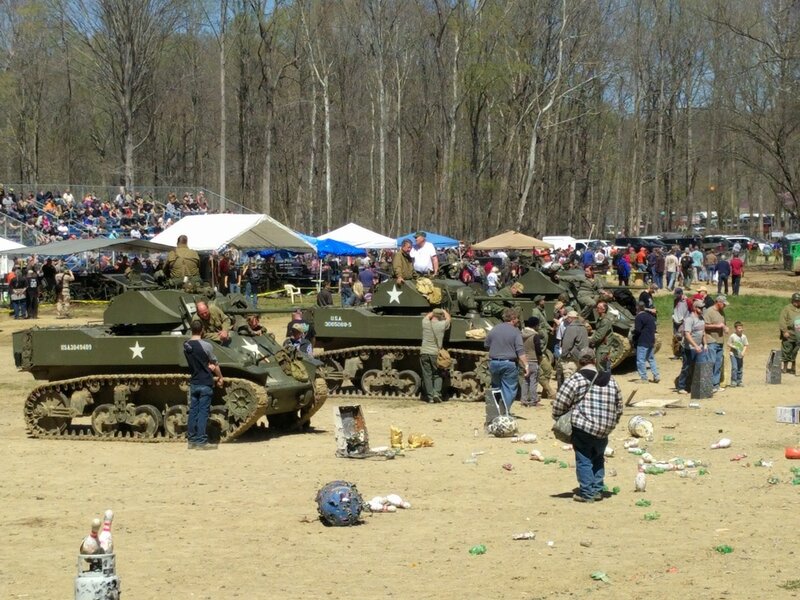 The Germans showed up in force with two tanks of their own, we had some good battles. We had a good crowd coming by most of the day on Saturday. 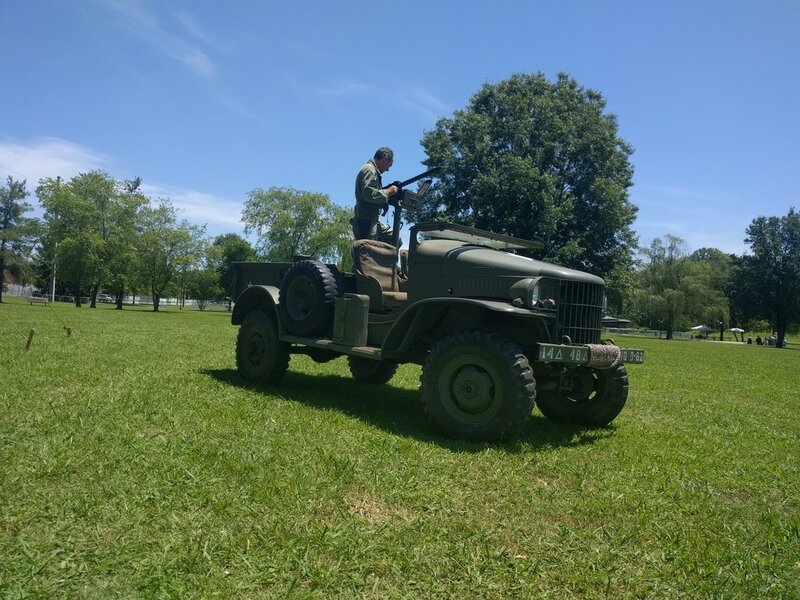 Our encampment had plenty for the spectators to check out. 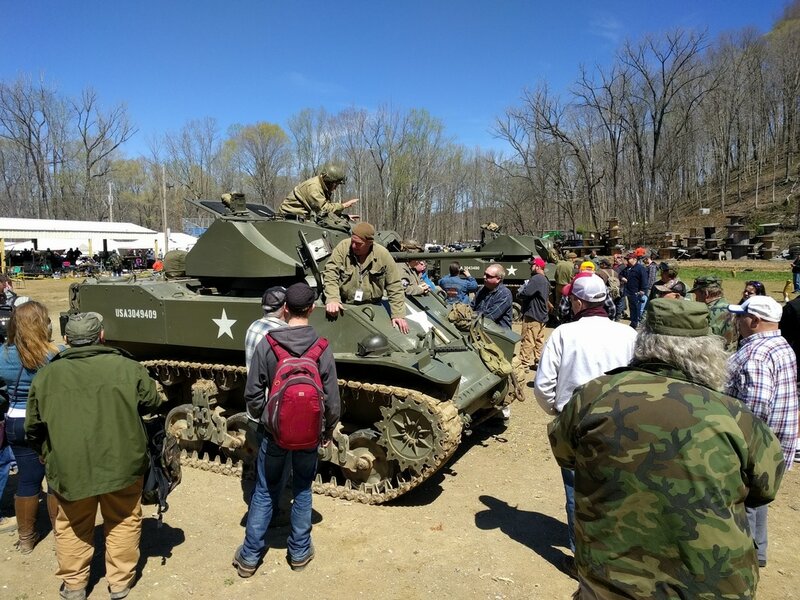 We did some blank firing in the camp, had a few periods where you could get into a tank, and even gave a few lucky people a ride! New recruit, he has a few more years to go! 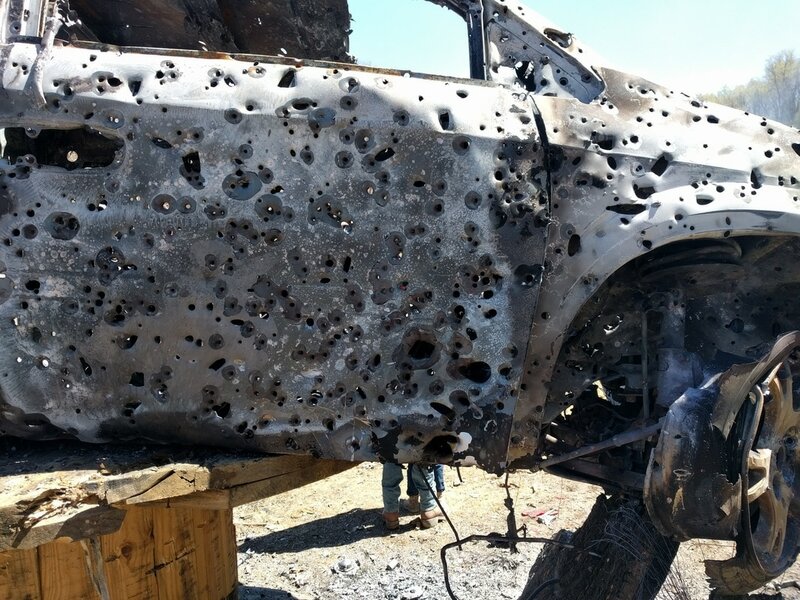 Big thanks for the guys that bought out the Axis hardware. 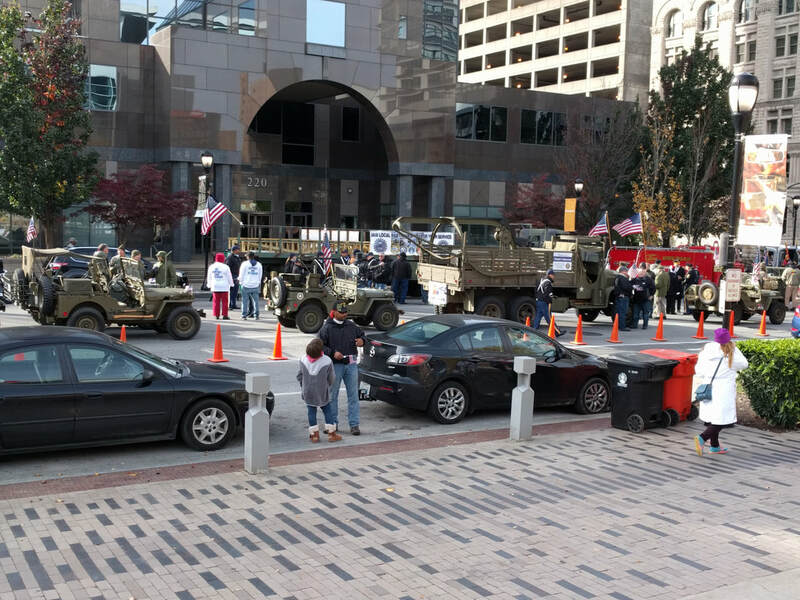 Once again Louisville stepped up and put on a great Veteran's Day parade. 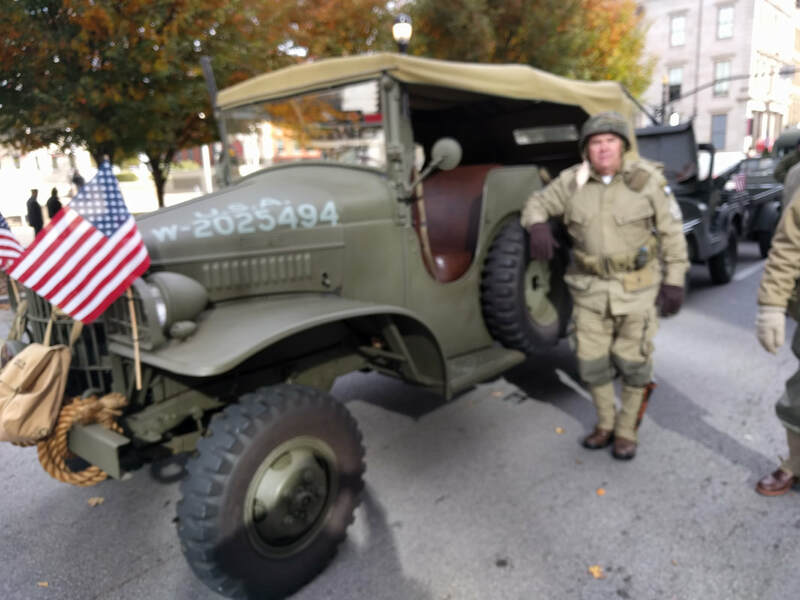 Thanks to our Vets! Good times in Western Kentucky! 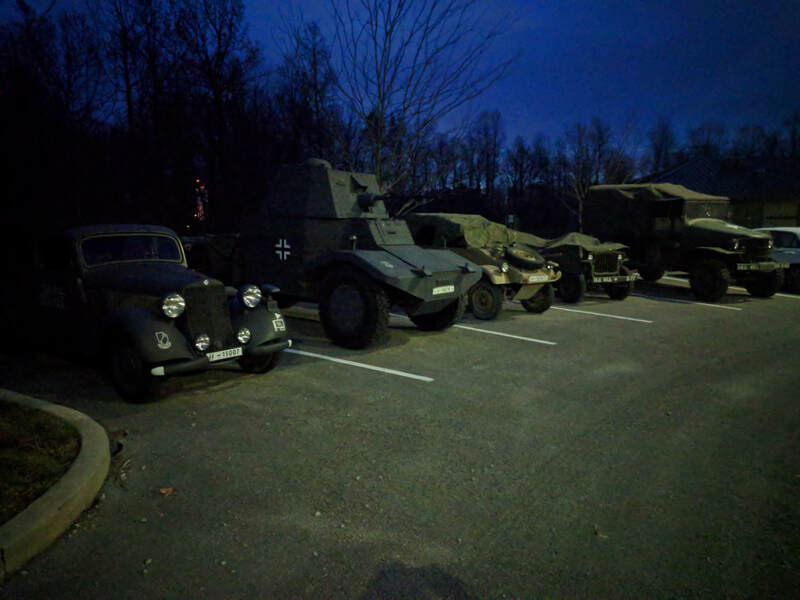 We brought 2 tanks, a jeep and a WC to the show. 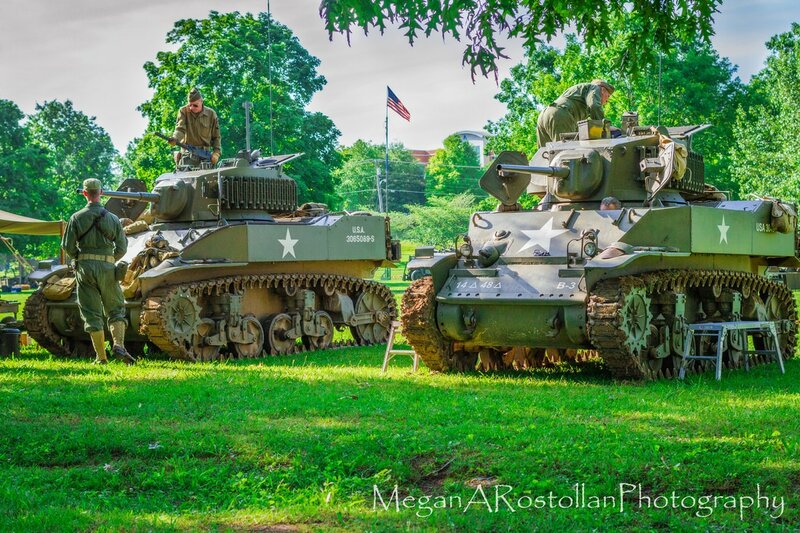 This event was one of the most re-enactor friendly deals I have been to. Excellent barracks, access to the mess hall (get the meal plan! ), and lots of room to fight. We made it through two of the three scenarios before management called it over. Good turnout. I imagine we will be back for this one next year!